No matter what the year may be, the show must go on for every business. But, as a businessman, you need to find some time from your business to keep a tab on trends that are ruling the industry. After all, you need to know what the buzz in the market is and whether your business is geared to embrace the shift. While we are already halfway through 2018, the following three trends are still making news and expected to spill over in 2019 as well. Take a look. Technology has taken the world by storm. Customers are becoming tech-savvy. They expect businesses to be present online, deliver efficient services and respond promptly to their queries. This simply translates into the adoption of technology for businesses. Hence, an increasing number of businesses are now shifting to SMAC – Social, Mobile, Analytics, and Cloud. They are exploring cloud-based solutions, marketing tools for personalization and messenger services that are driven by artificial learning and machine learning. The Internet of Things (IoT) and blockchain technology are also emerging to be valuable business tools. While the adoption of these two technologies is slow, it will surely pick up in the next few years. If your business is lagging behind in technology adoption, it’s high time to do so. You don’t want to be late or sorry! The number of startups and MSMEs are mushrooming in India. There is a high demand for business loans. Unfortunately, the existing credit supply offered by banks and other traditional channels of lending is not able to meet the demand. Moreover, they take ample time to process loan applications and are plagued by issues such as bureaucracy and NPAs. The good news is that alternative financing options such as digital lending and peer-to-peer lending are making it easier for businesses to access affordable and quick loans. Alternate lending is beating traditional financing and redefining the loans market. The alternate financing platforms leverage technology, innovative pricing models, and credit analytics to provide online and collateral-free loans at competitive interest rates with flexible terms and conditions. Bombay Stock Exchange (BSE) and NSE have made it possible for SMEs to list their companies in the market and raise much-needed growth capital while providing new investment avenues for investors. Currently, there are more than 200 companies listed on BSE SME platform and more than 150 companies on NSE SME. Since SME sector is touted as the backbone of the Indian economy and the government is undertaking special initiatives to give it a boost, more SMEs are expected to register growth and list on the stock exchange to raise equity capital. 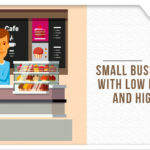 However, most SMEs will still continue to depend on small business loans to meet their financial needs. Overall, 2018-19 trends promise a positive business environment. Now, how you leverage to your business advantage depends on you.